Precious Moments "Make Every Day Magical "
A sprinkling of golden pixy dust will make any time a precious moment! 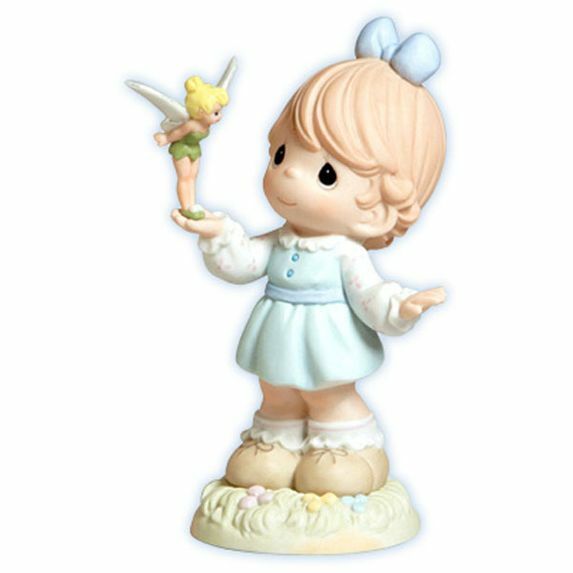 The innocence of youth is captured so sweetly in this figurine as our Precious Moments girl gets acquainted with her new friend Tinker Bell. This is a Walt Disney Showcase Collection figurine. Item# 4004159 - Height: 4.75"